I accomplished five of these hikes in late November and early December 2011 as preparation for my Appalachian Trail thru-hiking, and the last four I just did at the end of August of this year. The first of these hikes were also the very first hikes taken with my newly acquired Garmin hiker's GPS--the stalwart companion with which I documented every one of my 270 Appalachian Trail Day Hikes. So these hikes were 'training' and 'shake-down' exercises not just for my body but for the technology I'd use. Dec. 1, 2011: Immediately south of the Montpelier subdivision I entered the expansive Beltsville Agricultural Research Center, passing Capitol College, the US Army recruiting center, and the BARC Visitor Center where I took up the route of the American Discovery Trail, passed under the Baltimore Washington Parkway on Powder Mill Road and then headed south across the Beaver Creek watershed--an upper tributary of the Anacostia River watershed--photo of a pretty lily pond is included below. I ended the day at NASA Goddard Space Flight Center, a parcel given to NASA by BARC in the late 1950's. Here is where I worked from 1980 when I finished my post-doc work in Colorado until I retired in April 2005. 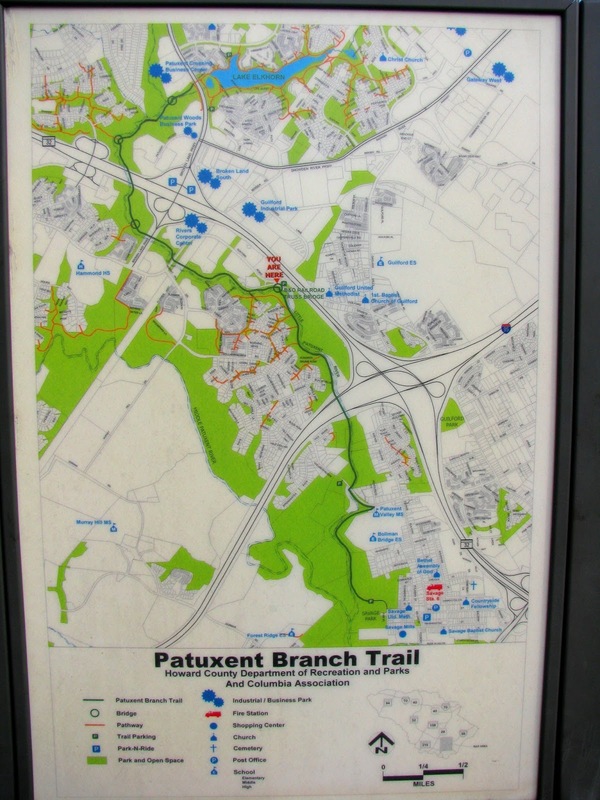 Dec. 3, 2011: I finished the Takoma Park detour, hiking a good chunk of the route on the off-road Sligo Creek Trail (off road paved biking and foot trail), visiting the Town Hall and the apartment building where I lived. 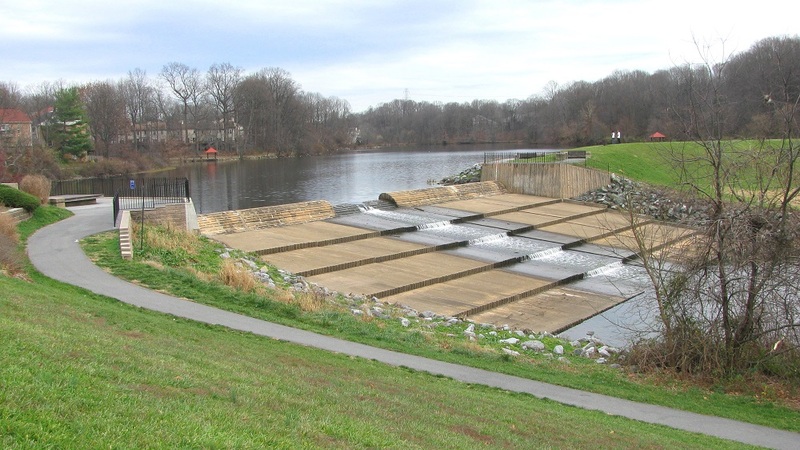 Then I jumped back to NASA Goddard and began the trek east, which included hiking a piece of the Washington, Baltimore and Annapolis Recreational Trail (off road, paved), part of which is included in the current American Discovery Trail route, and more of which is supposedly going to be. I finished the day hiking off-road on a new 'trail system' constructed by the developer of the posh new Fairwood subdivision. Look at this trail! August 20, 2013: Taking up where I left off at Fairwood, I hiked east to the off road town of Bowie trail that parallels Highway 197 and passes through Fox Hill Park and crossing over ten-lane US 50 on an impressive footbridge (shown below - not sure the name of this trail, but it's part of the American Discovery Trail.) 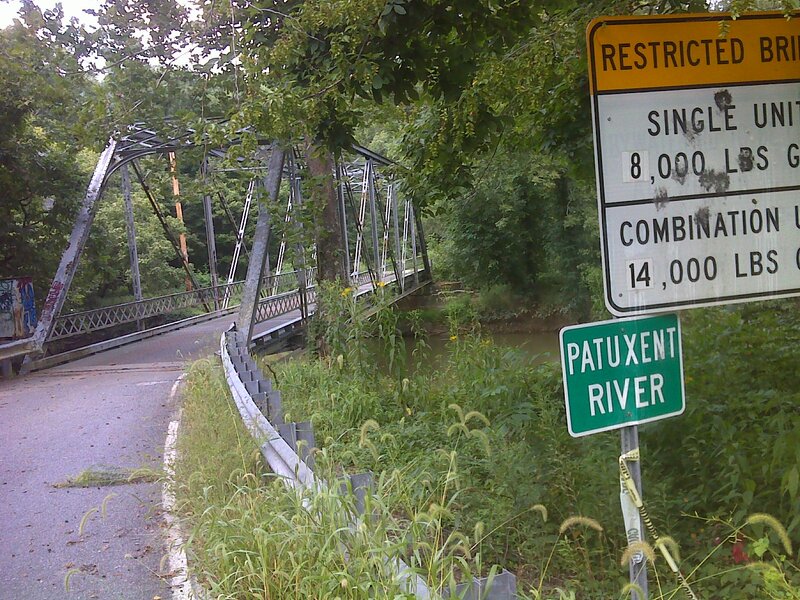 Then I continued east crossing the Patuxent River again on the closed Governor's Bridge Road. A half mile of the road is closed to vehicles on either side of the bridge (shown below) but the bridge is part of the American Discovery Trail and will remain so as far as I know. August 21, 2013: Today was road walking from Governor's Bridge, leaving the American Discovery Trail and heading south then west to the town of Harwood on MD highway 2. 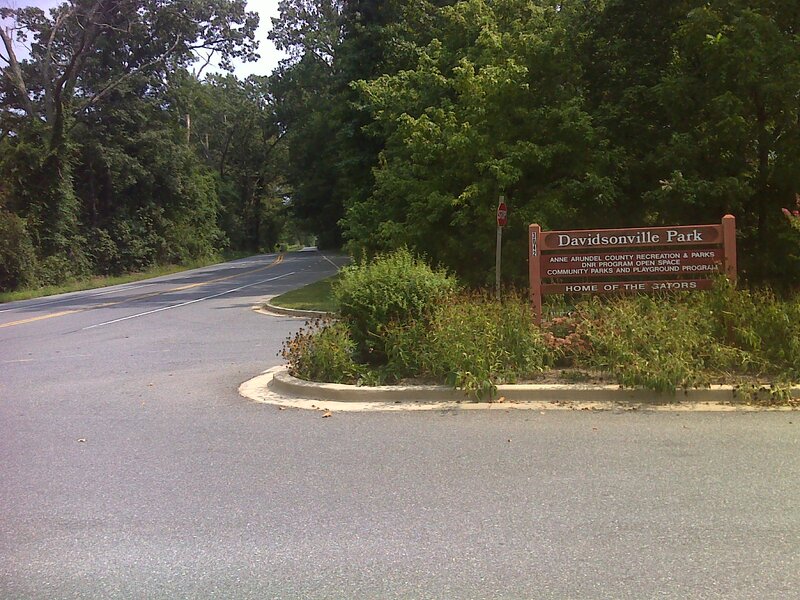 The hike passed Davidsonville Park which has a long paved off-road loop trail for foot and bike traffic only, but I wasn't able to incorporate that into my hike because it only had one access point in the middle (though it paralleled the road that I was hiking). 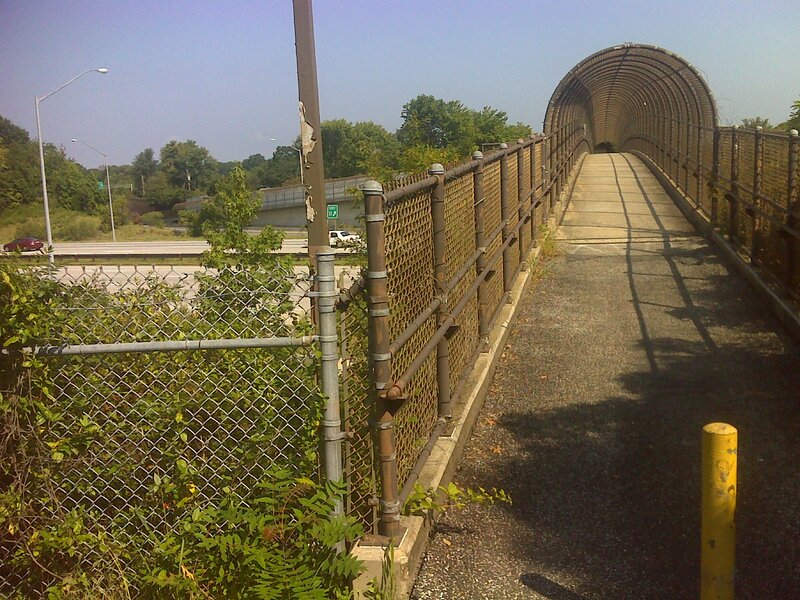 August 22, 2013: Hiked one way and biked the other along a fifteen mile stretch of busy but wide-shouldered MD Rt. 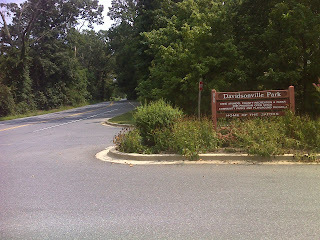 2, a designated State of MD bike route. 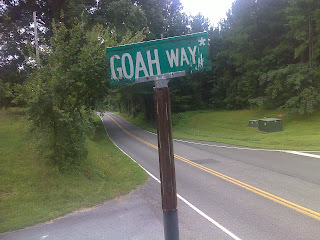 I felt entirely safe, but was always flanked by noisy traffic. This leg took me from the town of Harwood in Anne Arundel County to the town of Sunderland in Calvert County. Along the way I stopped and rested on a bench at the very pretty St. James Parish cemetery--a shady respite on a hot day. I intended to take a photo of the peaceful setting but must have forgotten. 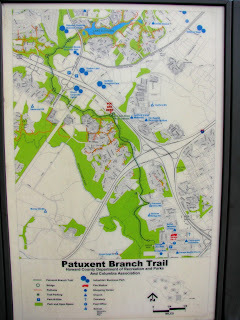 So this set of nine hikes concludes my Personal Continuous Footpath hiking in Maryland. Now 'all' that is left to complete this Bucket List project is to hike from the Appalachian Trail to State College, PA (see upcoming post--I did two days of hiking in that direction while in MD), and then hike a big chunk of the American Discovery Trial to Ft. Collins, Colorado with a side trip to Wisconsin. Oh, I also still have to finish connecting from the AT through North Carolina to my beach condo. I love hiking 'with a purpose'. 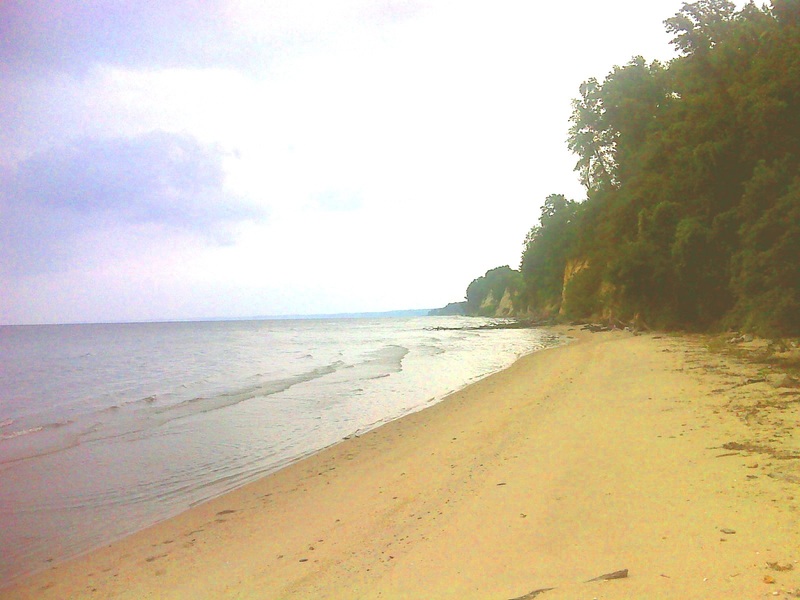 Somehow hiking up and down the beach or repeating routes in my neighborhood just isn't the same. It's much better for my psyche if I feel like I'm really 'getting somewhere'. If I ever actually make it all the way to Colorado and finish my Personal Continuous Footpath I'll have to come up with some new goals--like walking to every one of the 49 continental US states. Can't wait!